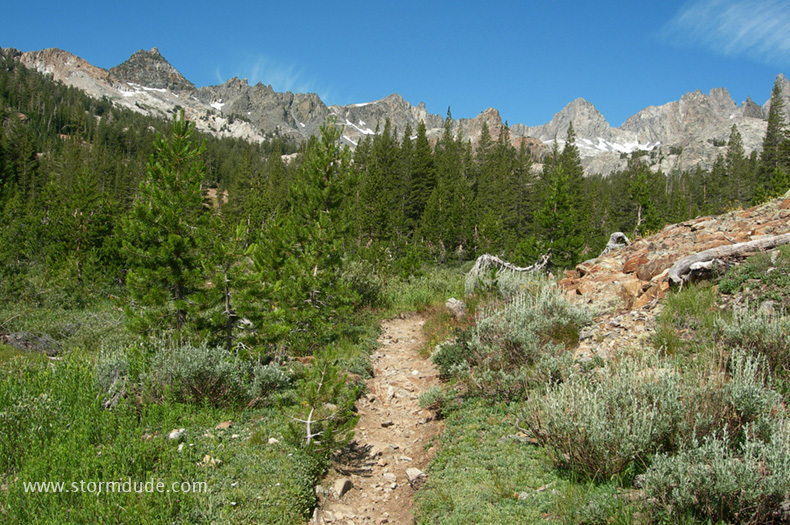 Beginning of an eight-mile hike to Minaret Lake, elevation 9800', from the 7600' trailhead at Devils Postpile National Monument. 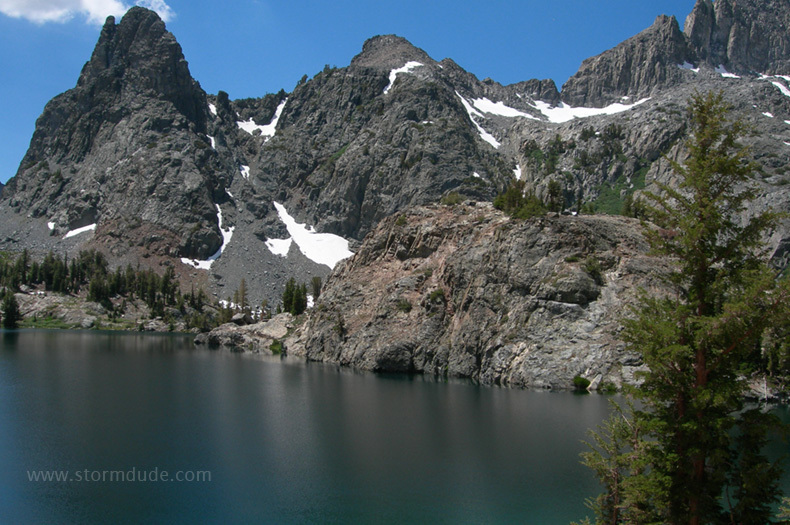 This can also be done as a sixteen-mile day hike. 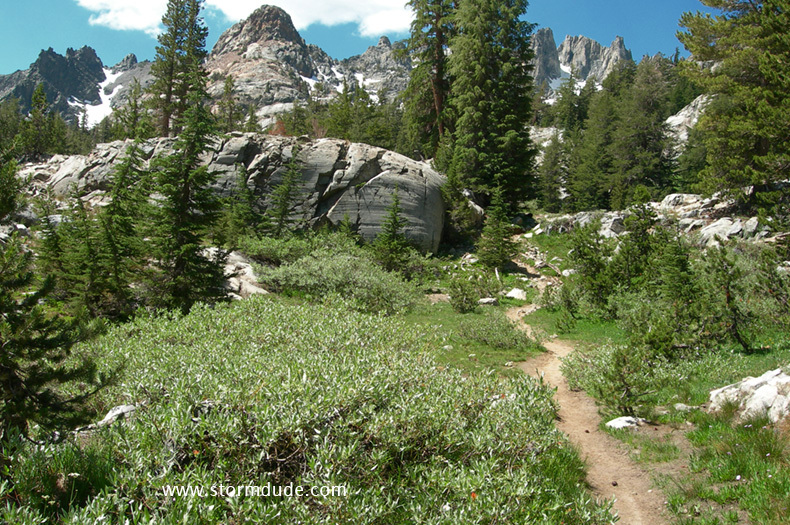 Trail follows the JMT for 1.5 miles before turning west and heading up Minaret Creek. 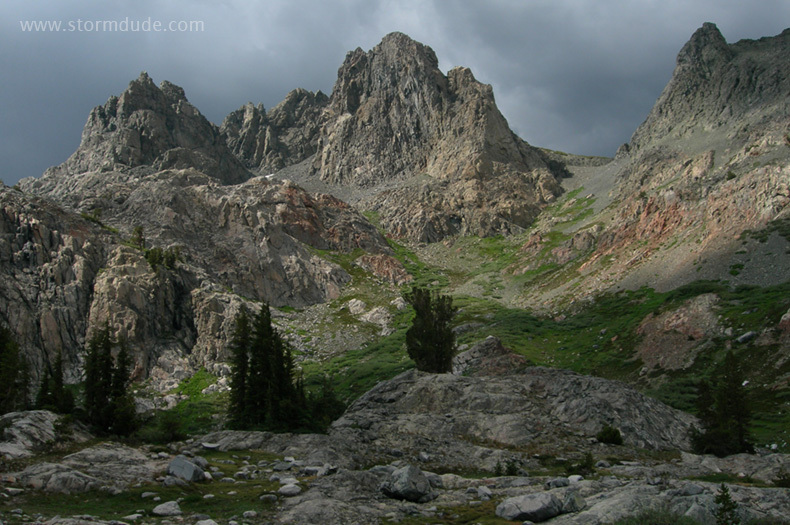 First glimpse of the spectacular Ritter Range. 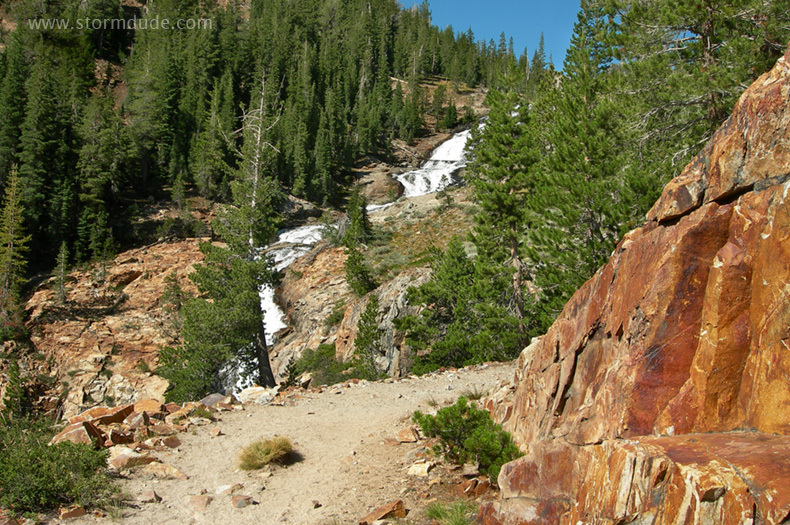 Great views make the upper portion of this hike a scenic delight. 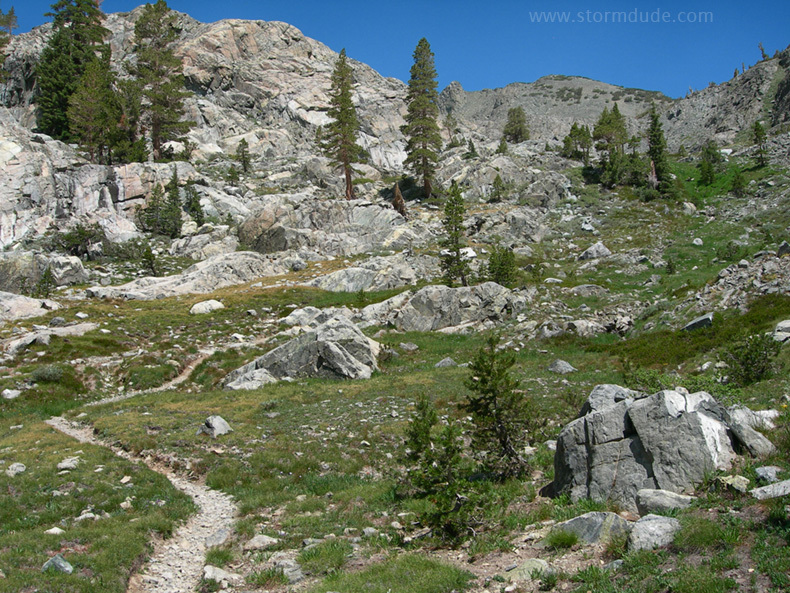 Unlike the heavily traveled JMT, the Minaret Lake trail offers a taste of classic High Sierra solitude. 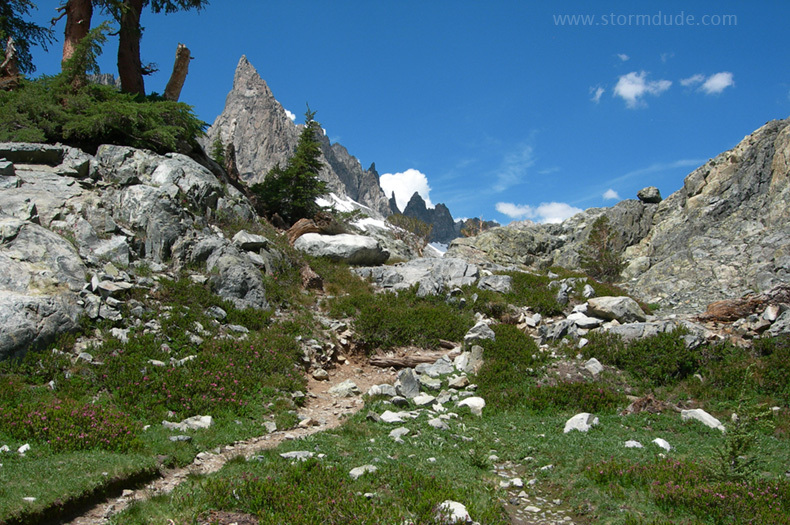 Looking northwest before the last stretch to Minaret Lake. 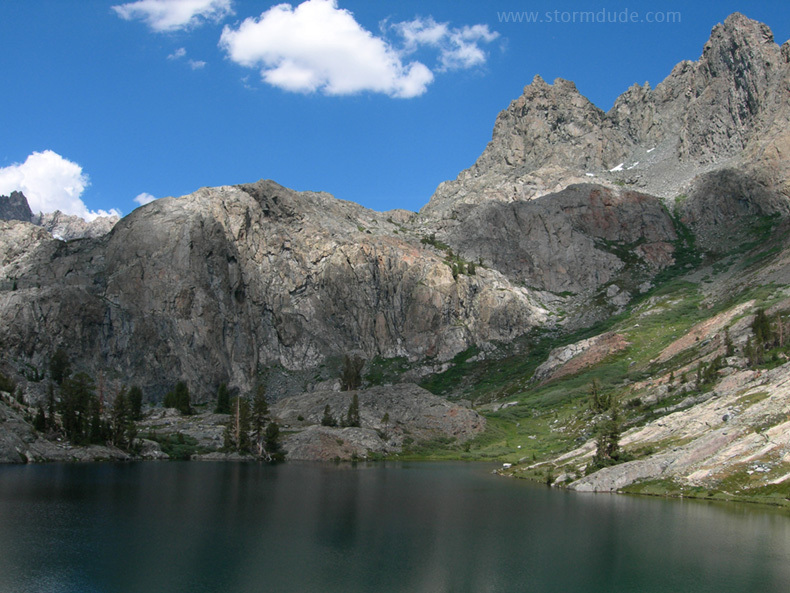 Climbing north to the eastern side of the lake. 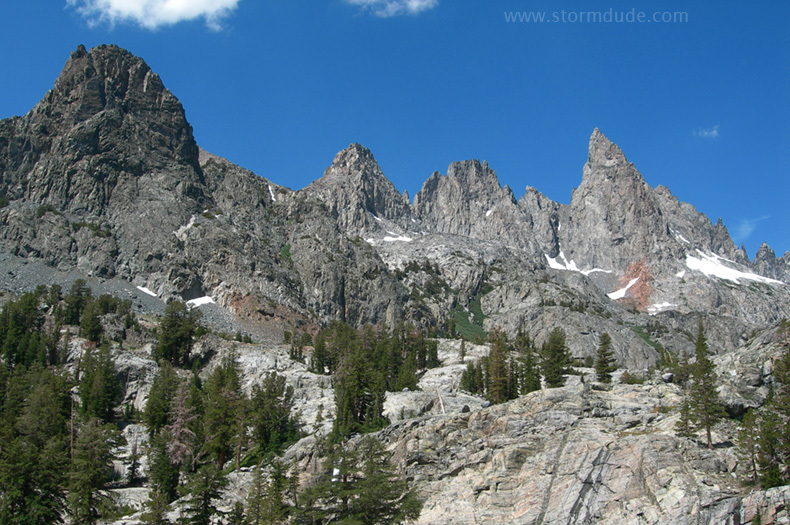 Getting close to the Minarets as the trail approaches 9000'. 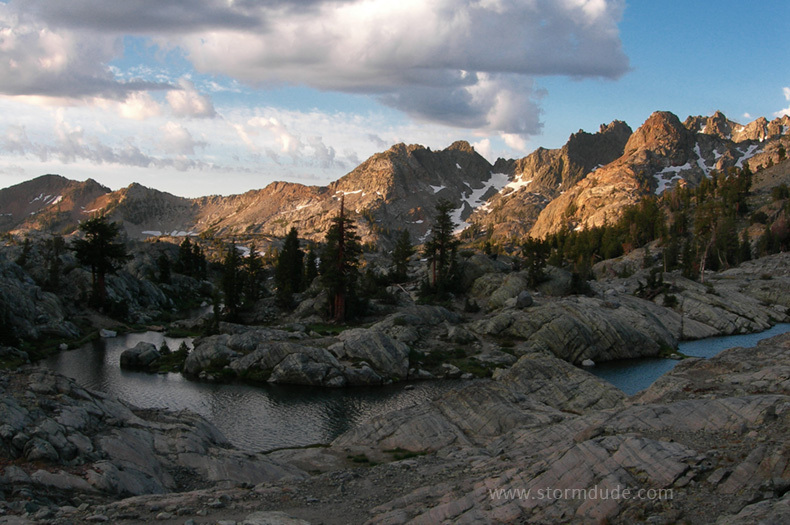 Some of the best scenery in the Sierras only eight miles from a trailhead. 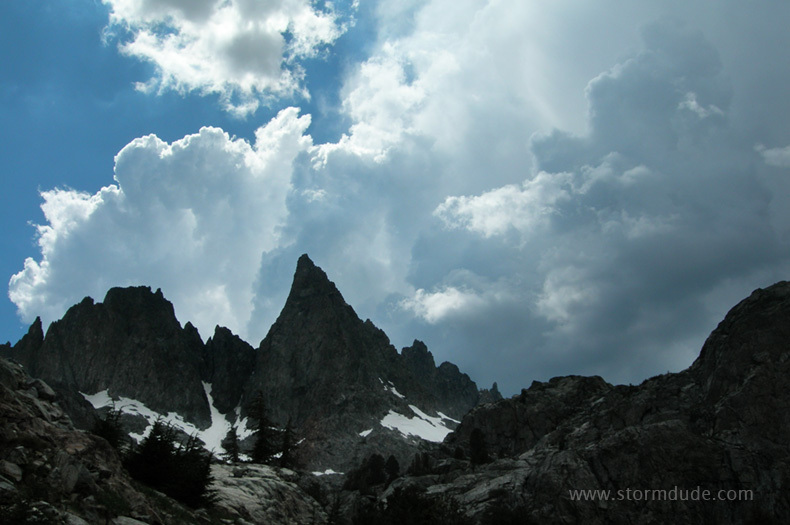 Afternoon cumulus turns the landscape into a range of light and shadow. 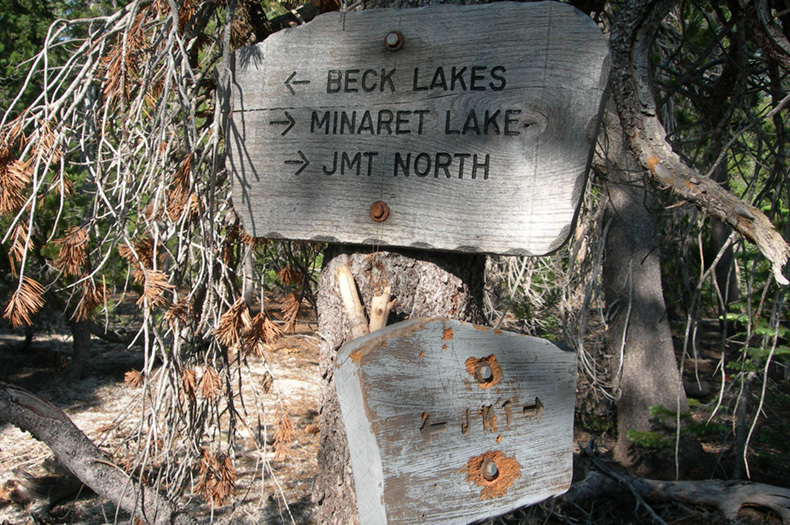 Trail follows the northeast portion of the lake. 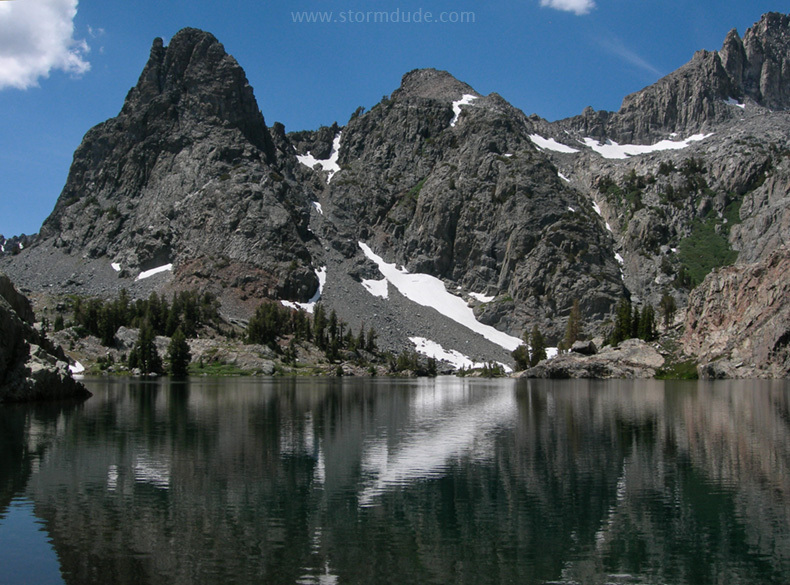 Serene mountain lake with the Minarets as a backdrop. 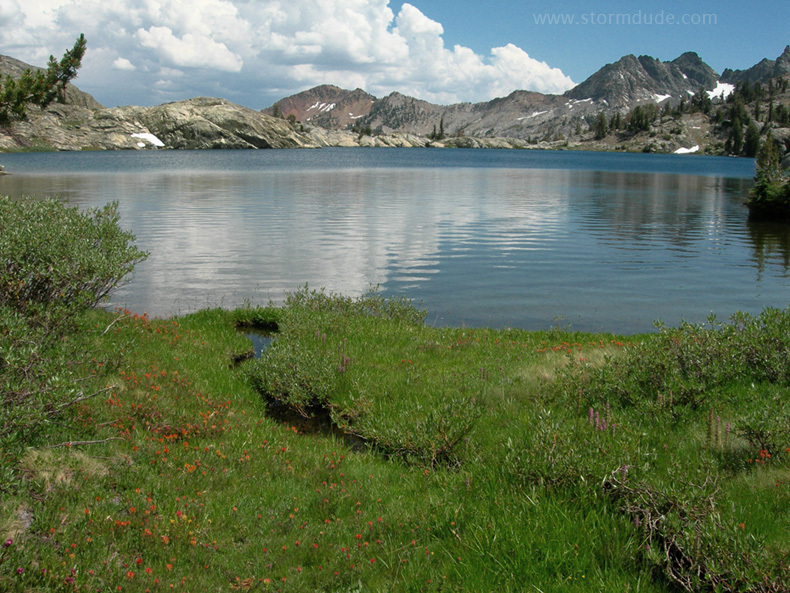 View from the northern end of the lake. 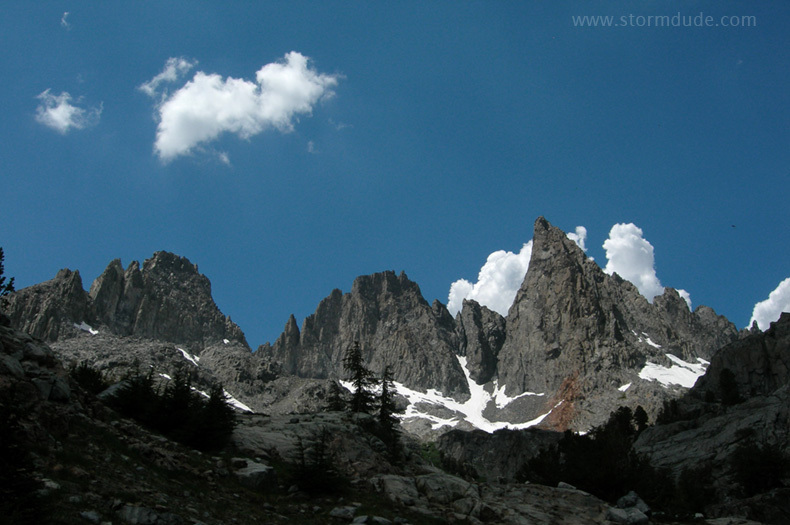 Inspiring views at the foot of the Minarets. 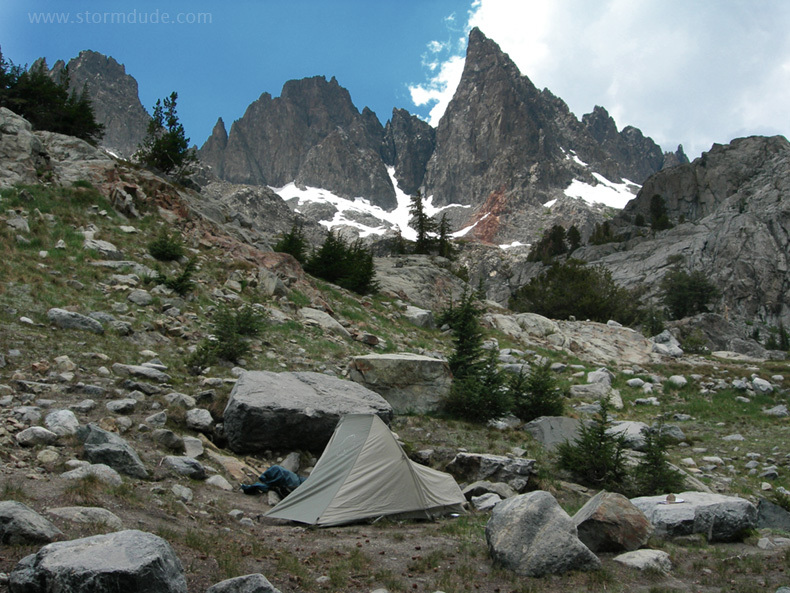 Comfortable campsite at the northern end of the lake. 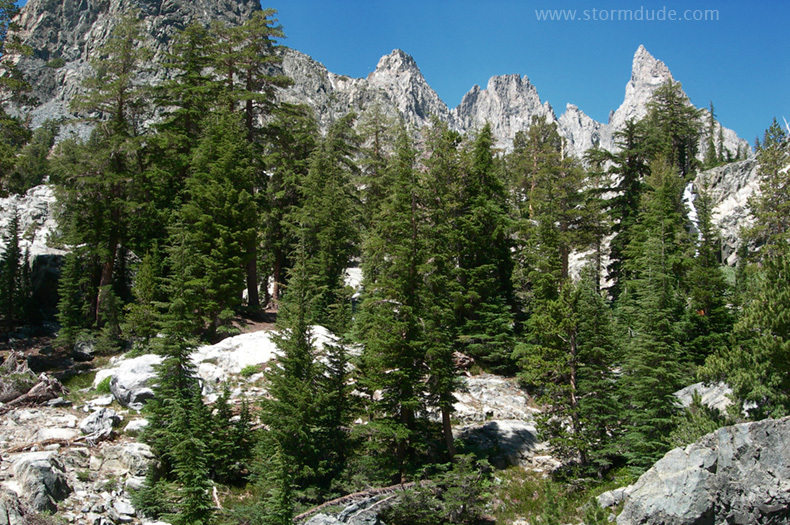 Looking south from the campsite. 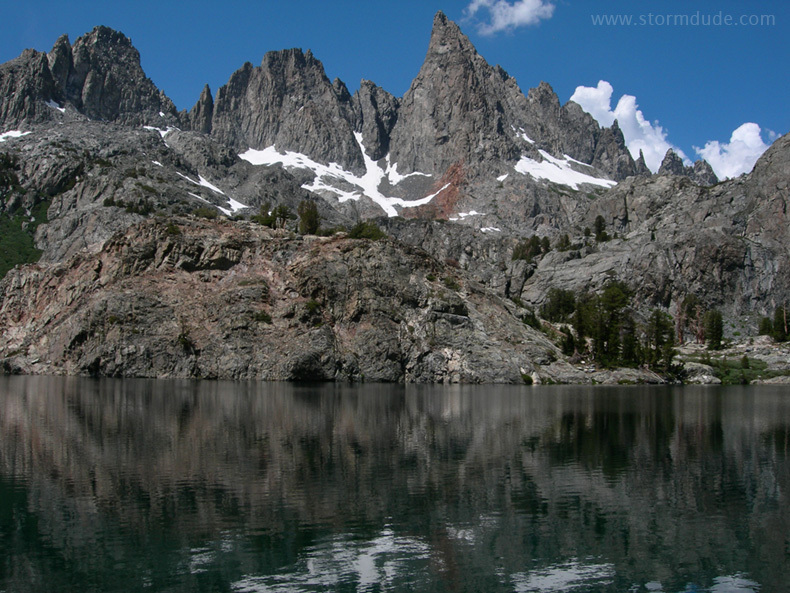 Inviting place for a High Sierra swim. 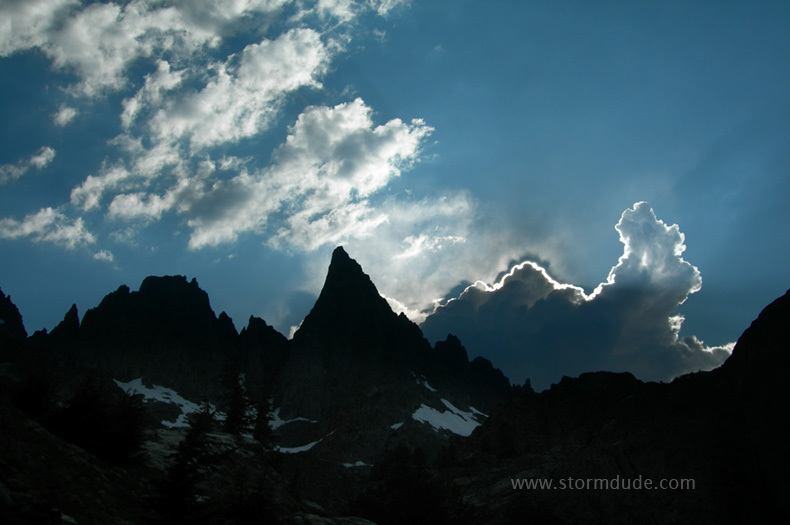 Late afternoon storm adds drama to the mountains. 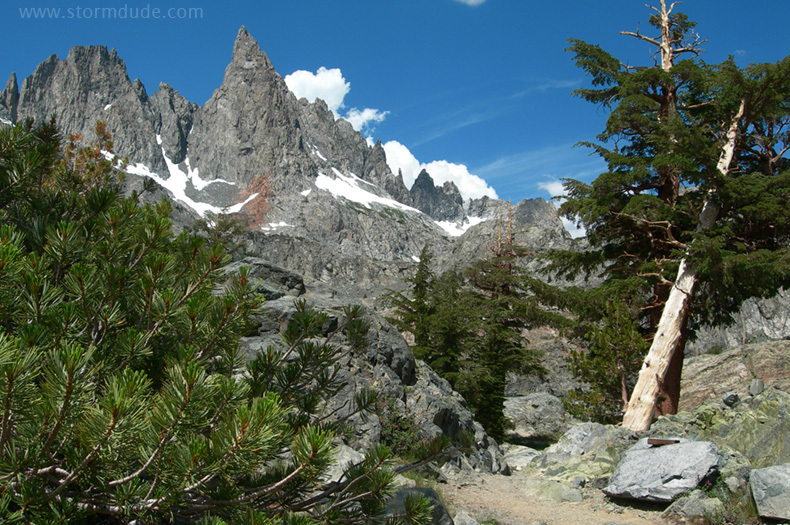 Wonderful views in all directions. 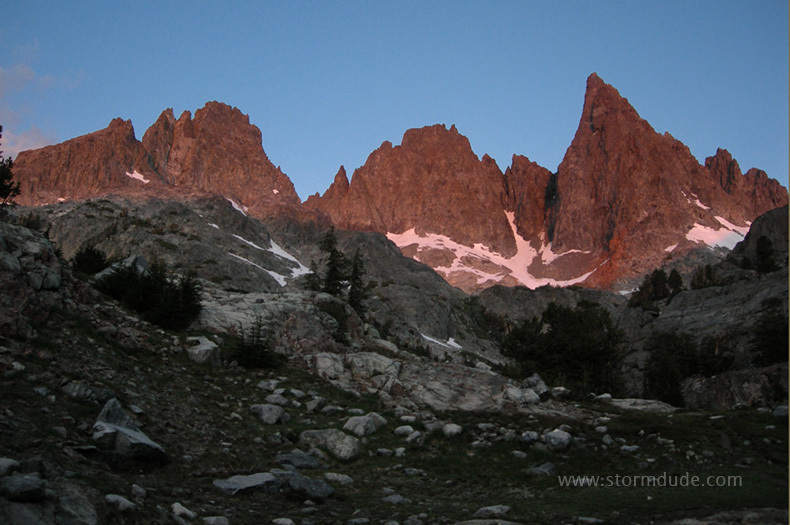 Sunrise view. 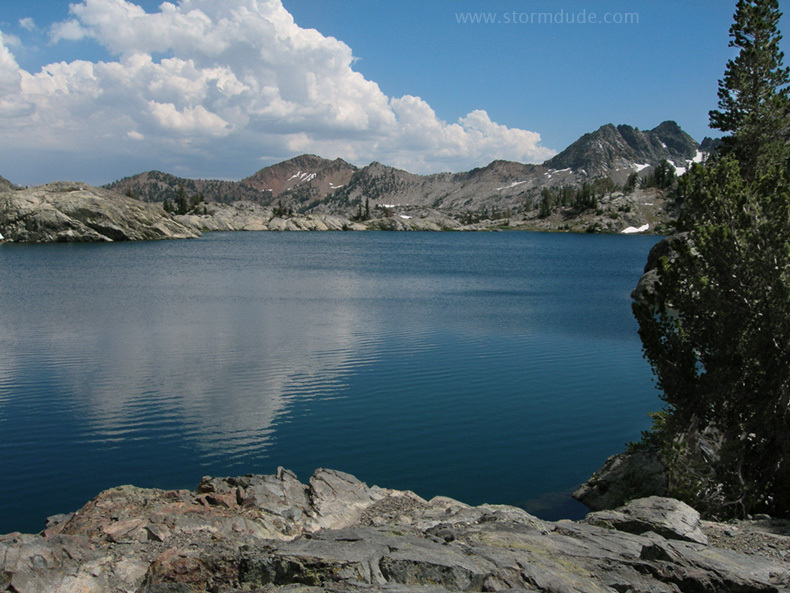 Continuing west and then north offers a cross-country trip to Ediza Lake, part of the Sierra High Route. 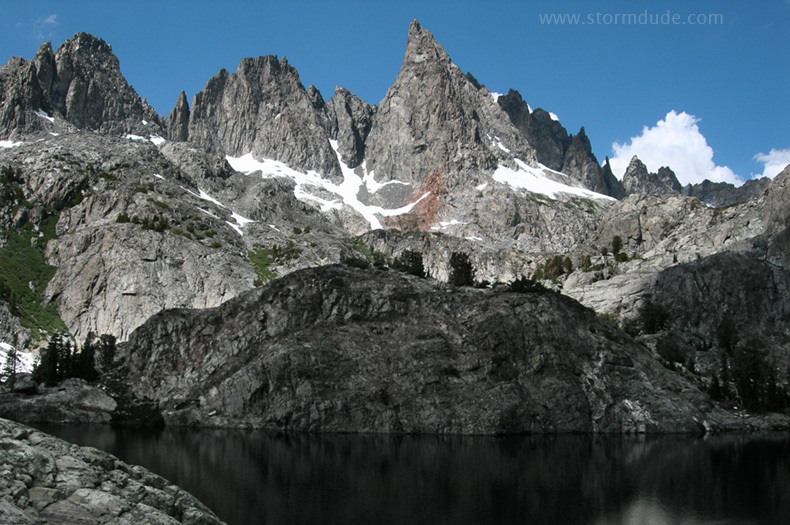 However, be prepared for difficult terrain that includes a dangerous, semi-permanent snowfield above Iceberg Lake. 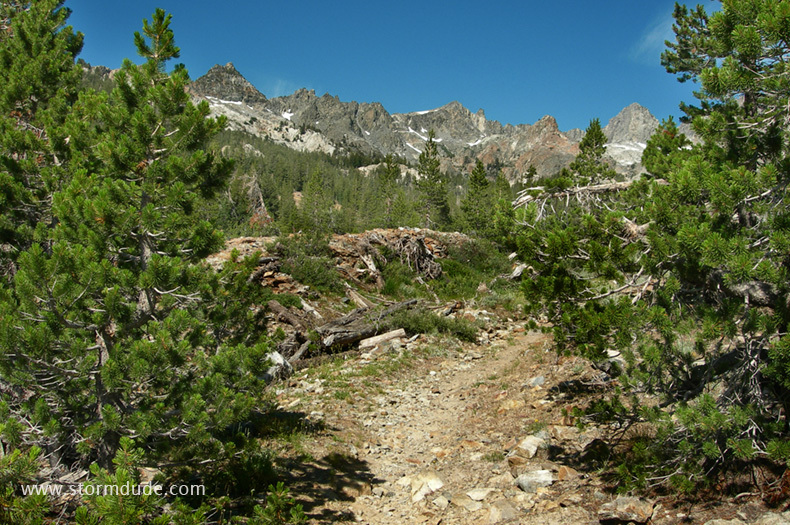 Hiking down among some of the best scenery in the Sierras.